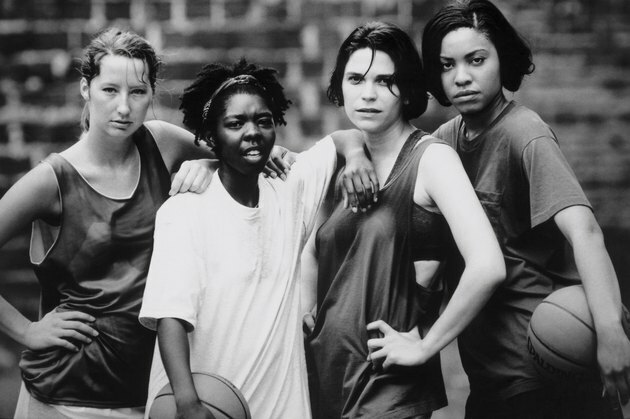 The WNBA, short for the Women's National Basketball Association, is a professional basketball league that was formed in 1996 in the United States. While the majority of the players in the league are drafted directly from college into the pros, it is possible to get involved in an open or private tryout for a WNBA team during the off-season. Open tryouts for the WNBA can occur as a result of an expansion team joining the league or the league organizing a day to help teams fill out their rosters. While open tryouts allow players from all over the country to fly in, the players usually have a prior relationship with league officials, coaches or an agent who can help make an introduction. After registering for the open tryouts, you are allowed to try out in front of all the coaches. From here, the original group is whittled down to a smaller group who are then asked back for an additional tryout. The ultimate goal is to get an invitation to training camp. Over the course of a full WNBA season, many players suffer injuries, some severe enough to put them on the injured reserve list. In some situations when a team loses a player in the middle of the season, closed tryouts will be held for players already on that WNBA team's radar. For example, if you are a fringe player who did not make the cut during an open tryout or were not drafted but are still well liked by a team, that team may call you in for a closed tryout during the season to see if your skills are sharp enough to receive a contract. During your WNBA tryout, coaches and assistants will often start by breaking out players according to their position and size. From here, basic conditioning drills, such as sprints, relays and suicides, will be administered to gauge your overall speed and acceleration. Fundamental drills, such as layup lines, spot shooting and passing drills, will be implemented to give the coaches a feel for your skill set. A crucial part in most tryouts comes when a scrimmage is introduced. Players are assigned to teams and given numbers, then asked to play a pickup game while coaches watch and evaluate playing ability. If you are selected during tryouts to move on to training camp as a part of the draft process, you will have to bring in your business partner or agent to negotiate a contract with your team. To start, most contracts are guaranteed only through training camp, giving your team the opportunity to see how you gel with the other players on the team and whether you can be productive in high-level basketball. If you make it through this final step, you will be offered a full contract that you can negotiate the terms of.